Off-peak, when energy demand is low and less expensive sources of electricity is used. Mid-peak, when the cost of energy and demand are moderate. On-peak, when demand is highest and more expensive forms of electricity production are used. TOU pricing better reflects the true cost of power. That’s because you are charged more for electricity when it’s more expensive to produce. As a result, TOU encourages you to use power when rates are cheapest – during off-peak hours. With Time-of-Use rates, the price of electricity varies depending on when it is used. On-peak prices apply during the middle of the weekday, reflecting the increase use of air conditioners. 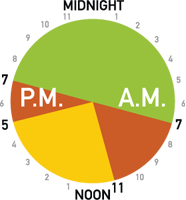 On-peak prices apply in the morning and evening, when demand ramps up as residential electricity use increases. All hours of the day are off-peak. Ontario introduced smart meters – along with Time-of-Use (TOU) pricing – to help you manage your electricity costs, while helping Ontario build a more efficient, environmentally sound electricity system. A smart meter measures how much electricity you use and when you use it, and sends this information to Veridian on a daily basis through wireless technology. What are the benefits of smart metering for you? Smart meters provide much more information to customers about their electricity use, helping customers take more control over their usage and bills. 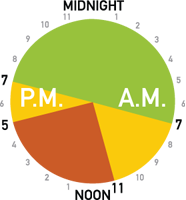 Customers can view their electricity consumption by the hour, day, month or billing period through Veridian’s customer portal – my.veridian. Smart meter data provides comprehensive, detailed information for electricity system planning – increasing our efficiency and lowering system costs. Electricity used on weekends and holidays is charged the off-peak price during both the Winter and Summer periods. This page lists the holidays when off-peak prices are in effect. 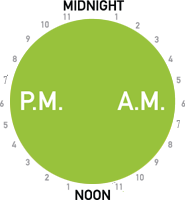 Note: If a holiday falls on a weekend, the following Monday will have off-peak prices in effect all day. The Ontario Energy Board (OEB), who regulates the province’s electricity and natural gas sectors, sets electricity prices twice each year – on May 1 and November 1. What are the reasons for higher and lower electricity prices? Time-of-Use electricity prices are like some cell phone rates, which are cheapest when demand is lowest: during the evenings, on weekends and on holidays. Likewise, electricity rates in Ontario are cheapest when demand is low. That’s because the province is using a steady stream of its cheapest electricity. This power comes from low-cost sources like nuclear generators and large hydroelectric stations. As daytime begins, more people and businesses turn on their lights, appliances and devices. At some point, the province will exhaust its supply of cheap power. It then turns to more expensive sources, like natural gas-powered plants and renewables like wind turbines. What are the costs that make up my electricity bill? The total amount on your electricity bill comes from the costs shown below. For more information visit the Ontario Energy Board’s website. Electricity – This line of the bill shows the price you are paying for the electricity you used during the billing period. Delivery – This line of the bill shows the cost of delivering electricity from generating stations across Ontario to your home via the high voltage (transmission) and low voltage (distribution) powerlines. Regulatory Charges – This line of the bill shows the cost of operating and sustaining the electricity system and providing certain government programs. Debt Retirement Charge – The Debt Retirement Charge was removed for certain residential consumption after December 31, 2015. Is there a health concern with smart meters? All devices with radio transmitting capabilities, including smart meters installed by Ontario’s electric utilities, must be certified by Industry Canada before they can be sold and installed in the Canadian market. Smart meters are considered safe by Health Canada. Radiofrequency emissions from smart meters are a fraction of those emitted by cell phones, microwaves, and other common household appliances. Smart meters transmit, on average, for only a few seconds every day, and radio frequency emissions drop exponentially for every foot removed from the meter. Is my smart meter information secure and will it remain confidential? Yes. Ontario’s electricity distribution companies are required, by law, to ensure that the smart meters and communication networks that are put into place are equipped with security features to prevent unauthorized access. They must also comply with federal laws regarding the privacy, protection and disclosure of personal information. Any data that is sent to the central data repository will be provided in such a way as to prevent identification of any individual customer. How can I conserve energy in my home? The Save on Energy conservation programs – offered by Veridian and funded through the Independent Electricity System Operator – are designed to make it easier than ever for homeowners and businesses to manage their electricity use. Veridian’s Save on Energy site will help you learn about the programs, and the benefits you can achieve by taking advantage of the energy-saving measures and incentives offered by these conservation programs.